Memorial Day weekend is a fitting time to remember the sacrifices of our nation’s military forces. 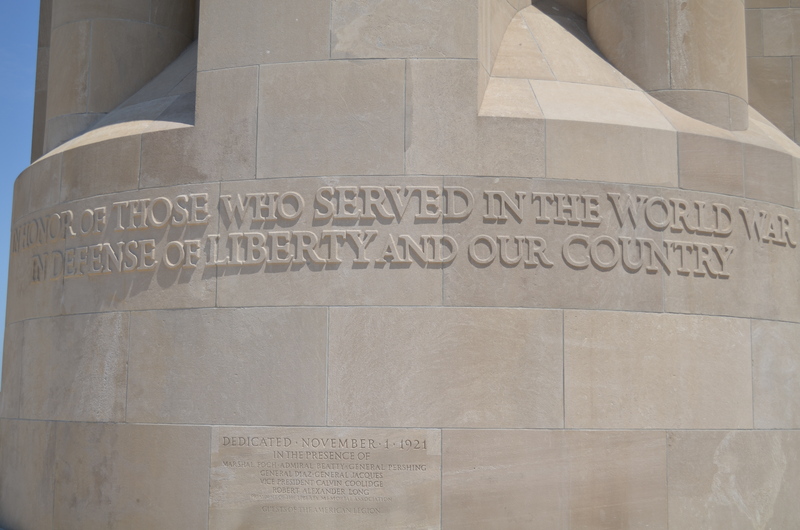 There are few places that symbolize this sacrifice as powerfully as the National World War I Museum, located here in Kansas City. It includes over 55,000 artifacts from the war years, a time line of events during the war years, photographs, armaments, and far more treasures than a visitor can absorb in one visit. Even the setting is a powerful visual experiences, sitting as it does with one of the most beautiful views of downtown Kansas City. 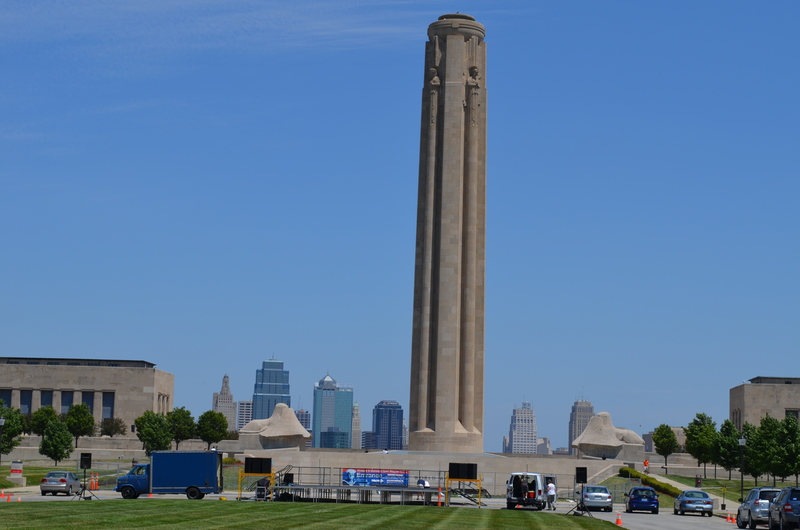 No visitor can reach the museum without first confronting the Liberty Memorial Tower, which sits immediately above the museum, and which is dedicated to the the “Honor of those who served in the World War in Defense of Liberty and our country”. On either side of the tower are two giant sphinxes with wing like coverings concealing their faces, as though they are, themselves, traumatized by the reality of war. 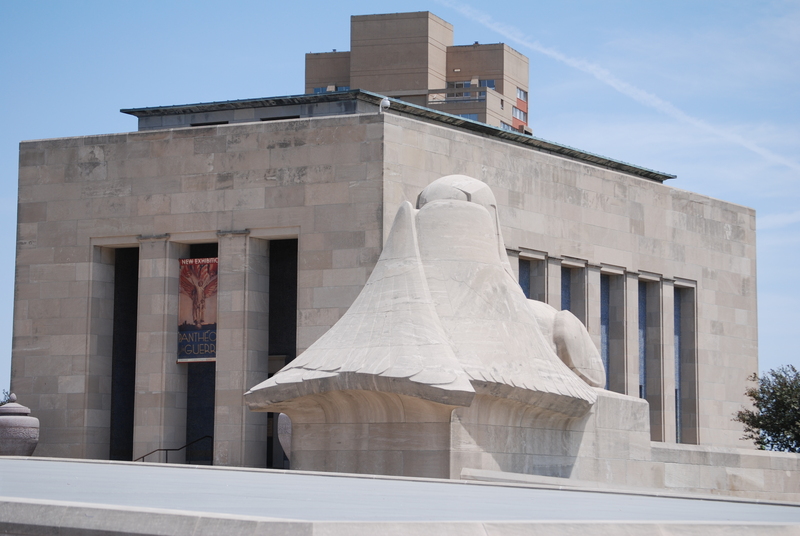 Two concrete buildings sit behind the sphinxes, themselves housing exhibits for the museum. The banners on the doors that mark the entry to the museum are unassuming. Once inside, visitors face a vast, but well-organized exhibit. The various rooms, includes a timeline of the war years, uniforms, posters, banners, video histories and other documentation of the war years. 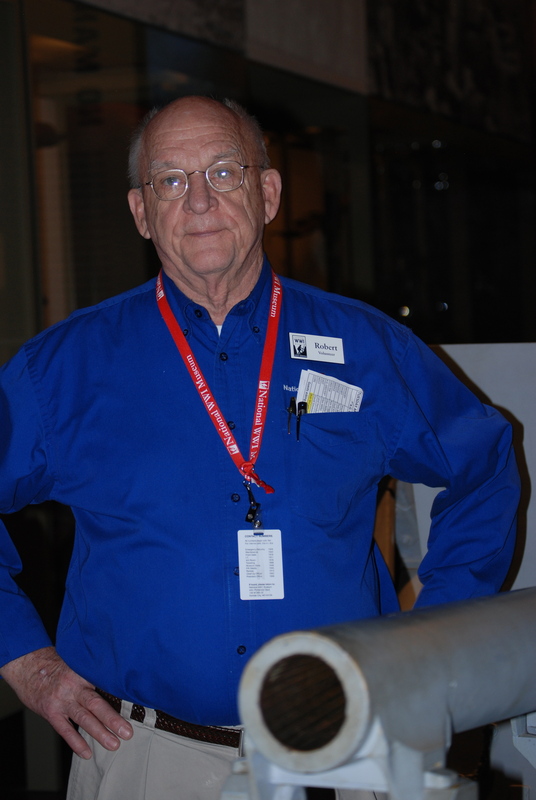 Knowledgeable volunteers are available throughout the building, eager to share their knowledge of the war and of the museum contents. The munitions they describe are primitive by today’s standards, but were sufficient to cause, in combination with factors such as disease and starvation, horrible destruction to the military forces, civilian populations and the landscape of Europe. The combined death toll of the military forces exceed 8,528,800. While World War I was often called the “Great War”, or the war to end all wars, it was neither. The destruction it caused contributed to events culminating in World War II and influence world affairs even today. Because the museum is focused on the war itself, the reality of death surrounds us. The ancient weapons of various sizes and shapes are on display. A restored 1918 Ford Model T ambulance is almost humorous in its quaintness. But there is also significant information about the culture of the era as evidenced by murals, photographs, clothing and everyday mementos of the times. 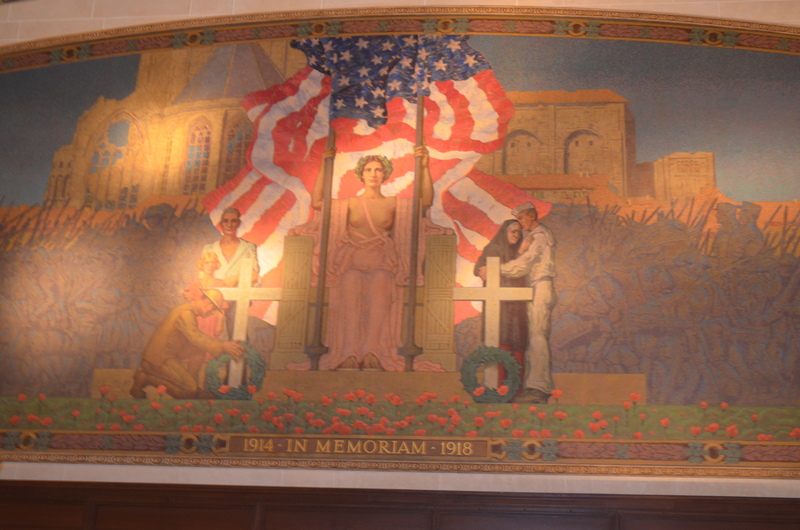 There are life-sized murals which can only be described as glorifying, if not war, than the strength and power of those who are successful in war. It is easier for the eye to turn to the powerful and positive symbols of hope and accomplishment. But nothing, in a place dedicated to war, can escape the reality of death. It is everywhere. In the midst of the exhibits are reminders of the humanness of the suffering. An example of the power of those posters is one quoting the leader of German mutineers, sentenced to death for his role in the mutiny of members of the German fleet, struggling to end the war: “I have been sentenced to death today. Only myself and another comrade; the others have been let off with fifteen years’ imprisonment. You have heard why this is happening to me. I am a sacrifice for the longing for peace; others are going to follow”. When the United States entered the war in 1917, it mobilized forces for war on the ground, on the seas and in the air. It was a welcome relief to its allies and helped tip the scales for the war’s outcome. Because it entered the war more than two years after the war commenced, our casualties were comparatively small. But each casualty, our own, and those of our enemies, is real. Throughout the museum are portraits, sketches and photographs of those who fought and those who died. Each had his or her own personal and tragic story. Each had a family who mourned the lost of their loved one. 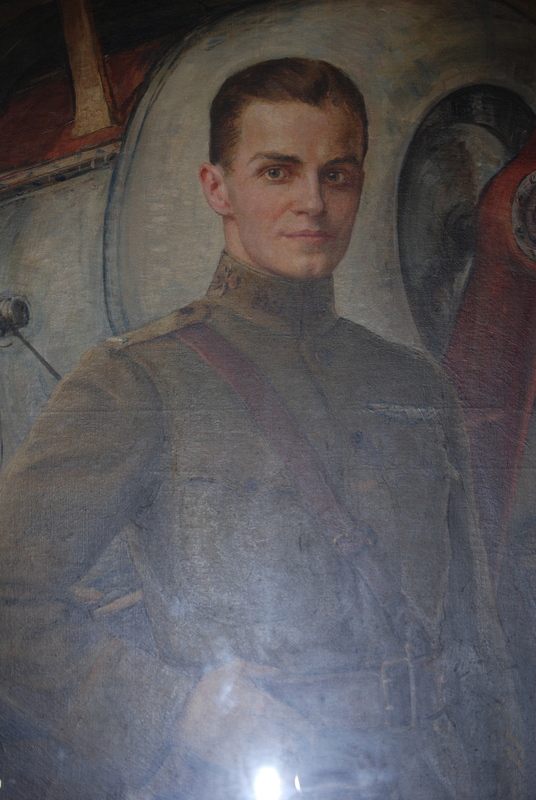 This portrait is of Lieutenant John F. Richards II, 1st Aero Squadron, killed in action September 26, 1918 over Argonne Forest, (France) part of the final Allied offensive in World War I. I will not easily forget his face. 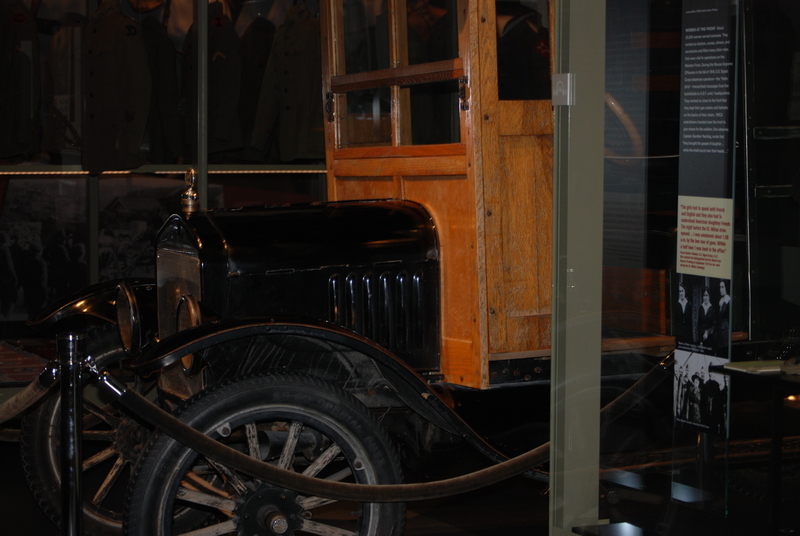 The World War I Museum is a place memorializing one of many tragic wars. It is a place of sadness. It is also a place of remembrance. I would like to believe it is a place of hop. I am not so sure. But each of us benefits by being reminded of the devastation that is the inevitable result of human conflict. When to go to war, whether to go to war and why to go to war are issues that have no easy solutions and I will offer none. But it is important to be reminded of the tragedy of war and of the sacrifices made by our men and women of the military who make great personal and family sacrifices to protect their nation in times of peace and times of war. We should never forget them. This entry was posted in Community, History, Social and Economic Issues and tagged air force, Art, culture, II, kansas city, Lieutenant John F. Richards, National World War I Museum, photographs, Photography, Skyline, statistics, war statistics, World War I, World War I Museum, WWI. Bookmark the permalink. Thank you Ann for your thoughtful coverage of this incredible museum, and putting it out there for the world to discover. I hope you liked it. I have visited twice in the last two weeks. It is an amazing place. Thanks for the suggestion.